SPACE FORCE NEARS CRITICAL DECISION POINT When he was secretary of defense during the Obama administration, Ash Carter was not a proponent of a separate military space service. His views on the matter have not changed. “I never recommended that and I don’t recommend that now,” Carter told a Mitre Corp. conference last week in Massachusetts. Creating an independent branch of the service for space operations would move the military “in the wrong direction” because it would segregate, rather than integrate space forces with the rest of the armed services. Carter’s remarks were webcast live by Mitre but the video was removed after the speech. Carter’s comments are a reminder of the awkward position in which Defense Secretary Jim Mattis finds himself on this issue. After he initially opposed legislative language from the House Armed Services Committee creating a separate Space Corps, he is now withholding comment. And for good reason. President Trump on several occasions has endorsed the idea of a Space Force, giving momentum to advocates on Capitol Hill. Mattis told reporters the Pentagon appreciates the congressional focus on space issues and is not being passive about space reforms, although he would like to see further debate on the pros and cons of reorganizing the military. An independent study to figure out a future organization should be completed by year’s end. Mattis has acknowledged that Congress has legitimate concerns about the slow pace of modernization. Deputy Defense Secretary Patrick Shanahan is working on a separate study to be submitted to Congress in August that focuses on how the Pentagon and the Air Force plan to fix the procurement process. SMC will invite contractors to an “industry day” in late July to share further details of the reorganization, known as SMC 2.0. MATTIS DOWNPLAYS IMPACT OF TRUMP TRADE WARS Aerospace and defense executives worry that retaliation from U.S. allies affected by the Trump administration’s steel and aluminum tariffs could harm U.S. business. Trump imposed tariffs on steel and aluminum produced by the European Union, Canada and Mexico. 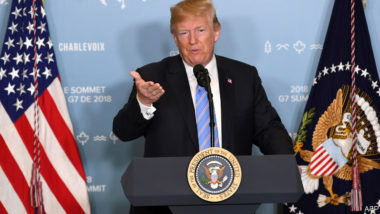 And during the recent G7 summit in Quebec, Canada, he further rattled the international community by suggesting all nations should drop all tariffs on U.S. products. Defense Secretary James Mattis said that, so far, the trade spats have not strained ties with allies. “Our military relationships remain very strong,” Mattis told reporters on Monday at the Pentagon. 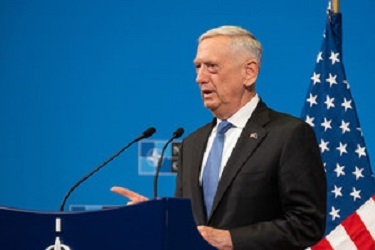 During recent trips that included meetings with allied officials in Colorado, Hawaii, Singapore and Brussels, Mattis said, the topic of trade and tariffs did not dampen exchanges between U.S. defense and military officials and counterparts from NATO and other partner countries. 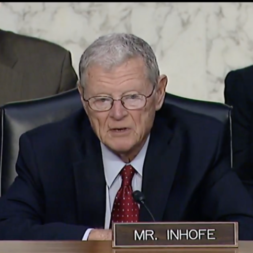 SENATE DEFENSE BILL BOOSTS BLACKJACK The Senate Armed Services Committee wants to add $110 million to the defense budget to speed up the development of a low Earth orbit constellation of military satellites. The project, named Blackjack, is led by the Defense Advanced Research Project Agency. The Air Force views this program as a key vehicle to bring cutting-edge commercial space technology into the military. The Pentagon in fiscal year 2019 requested $15 million for the program. The Air Force additionally sought $50 million for Blackjack as part of its “unfunded requirements” list that the military services submit to Congress every year. The SASC is going even further. “The committee notes that funding for a Blackjack on-orbit demonstration is the Air Force’s highest unfunded priority,” said the report that accompanies the committee markup of the National Defense Authorization Act — named the John S. McCain National Defense Authorization Act for Fiscal Year 2019. “The committee believes that the successful demonstration of a proliferated constellation of satellites in low Earth orbit would have profound implications for the resiliency and survivability of critical space missions,” the report said. The $110 million increase would give Blackjack $125 million to accelerate an on-orbit demonstration of a military missile warning constellation embedded within a commercial LEO mega-constellation and a space-cloud network infrastructure. 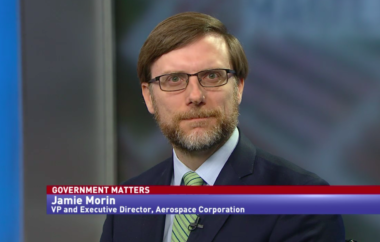 ACCESS TO SPACE FOR SMALL SATELLITES The Aerospace Corp., a federally funded research firm, is pushing the idea of a launch standard for small satellites in the 25-200 kg category. About 6,000 of these smallsats could be trying to get to space over the next decade but their access to launch vehicles could be a major hurdle. “As the smallsat market grows, launch remains the main bottleneck to timely and affordable access to space,” says a new Aerospace Corp. policy paper. Currently, most smallsats are launched as secondary payloads when there is excess space in a launch vehicle. And every deployment must be specifically designed for each smallsat. This could change with the adoption of a smallsat launch standard. It would address the physical properties of the smallsat (size, volume, vibrational modes) as well as the mechanical and electrical connections to the launch vehicle. “The development of a standard smallsat launch unit is critical for high-launch availability and flexibility, integral aspects of achieving low-cost access to space,” said Danielle Piskorz, member of Aerospace technical staff. 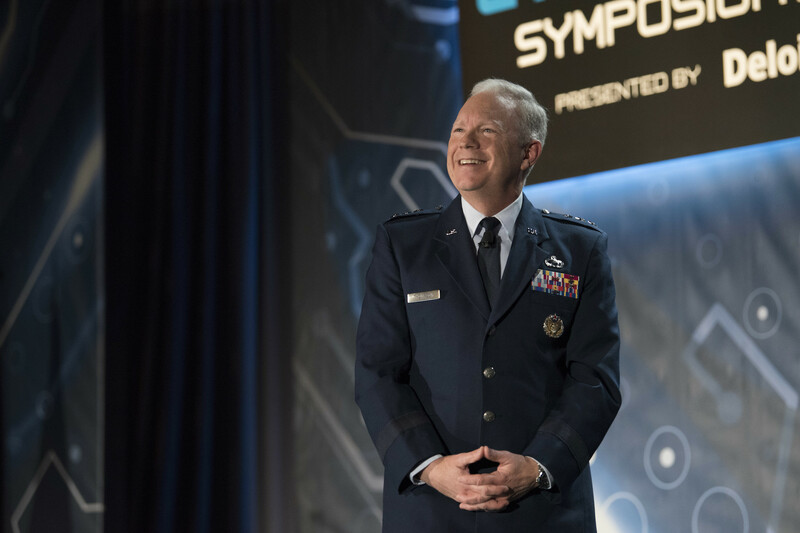 AIR FORCE SPACE COMMAND OFFLOADS CYBER MISSION The Air Force decided t’s best for Space Command to turn over cybersecurity responsibilities to Air Combat Command. This move will “drive faster decisions as we fight by realigning the cyber operations and intelligence, surveillance and reconnaissance missions under the same command,” Air Force Secretary Heather Wilson said. The realignment means Air Force Space Command will be able to focus entirely on “space superiority,” Gen. John Raymond said in a statement. BIG BUSINESS IN IN-ORBIT SERVICES The Mission Extension Vehicle built by Northrop Grumman Innovative Systems (formerly Orbital ATK) will the first of several competitors seeking a share of about $3 billion worth of in-orbit services that satellite operators and government agencies are projected to buy over the coming decade. Servicing satellites in geosynchronous orbit is a “nascent industry” with significant future potential, said Carolyn Belle, senior analyst at Northern Sky Research. 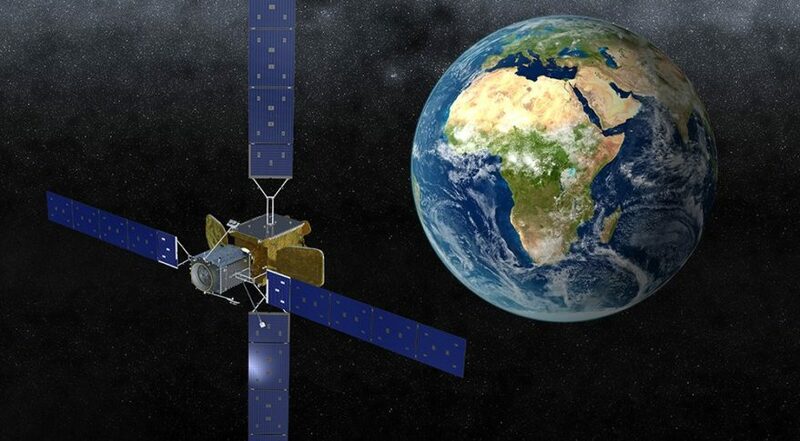 Companies are weighing “service-or-replace trade-offs.” In an uncertain business climate, satellite manufacturers and operators are looking for new ways to manage their fleets, and might find life-extension services a compelling option. SPACEX EXPANDING IN FLORIDA A draft environmental assessment by NASA discusses a proposal by SpaceX to develop a new facility at Kennedy Space Center. The growth would support a higher launch rate of Falcon rockets, including processing of landed booster stages and recovered payload fairings for reuse. “This action is needed in order to increase the effective and cost efficient operation of space flight,” the environmental assessment document states.